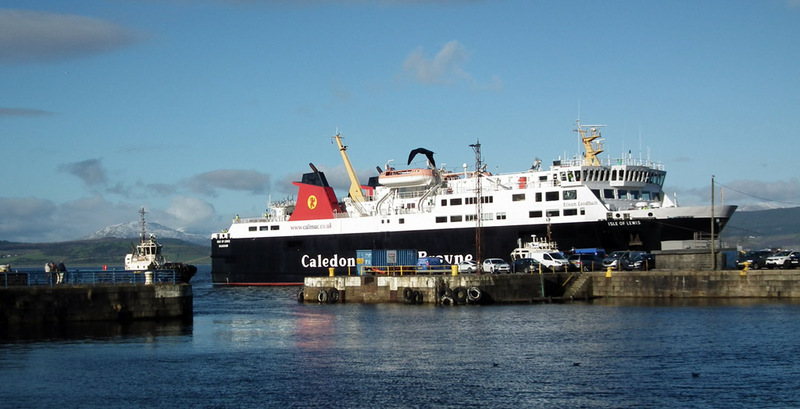 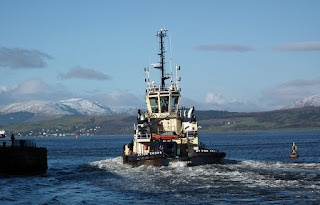 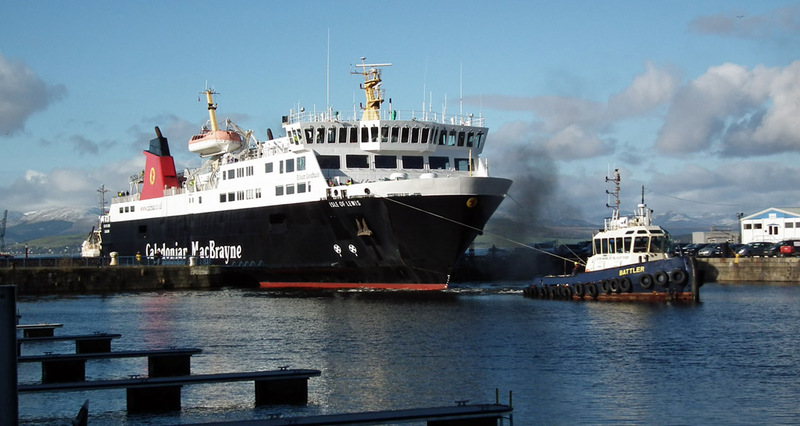 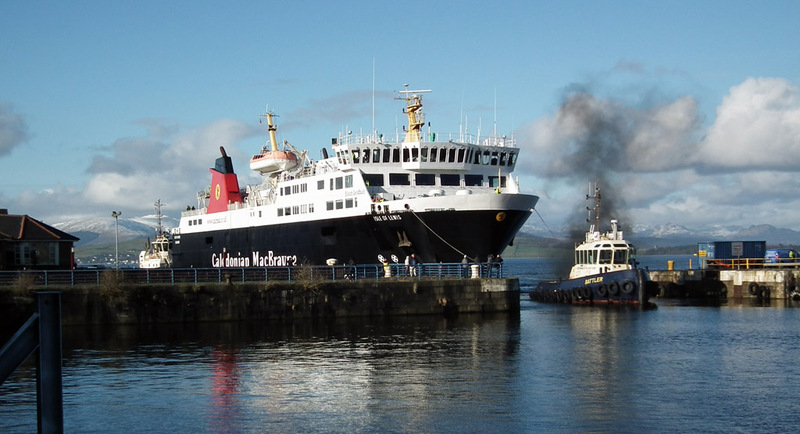 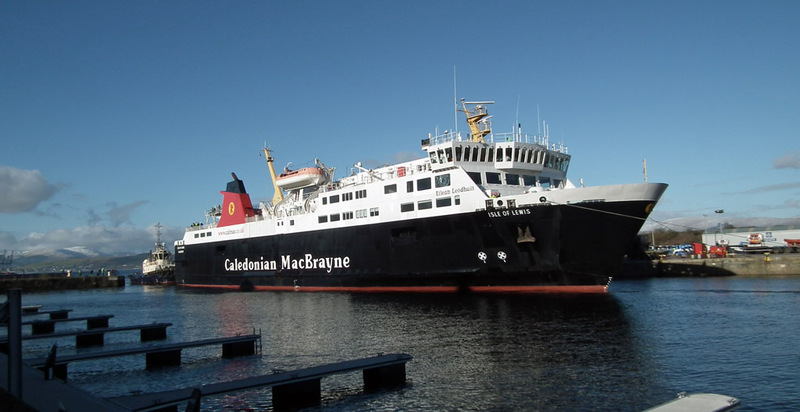 Loch Portain leaves Largs for Campbeltown 03 February 2018. Loch Shira in the Garvel 02 February 2018. Container vessel RMS Veritas at GOT 02 February 2018. 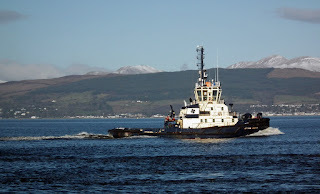 Svitzer's Svitzer Milford inbound after canting RMS Veritas 02 February 2018. 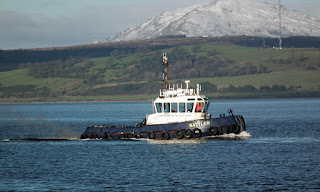 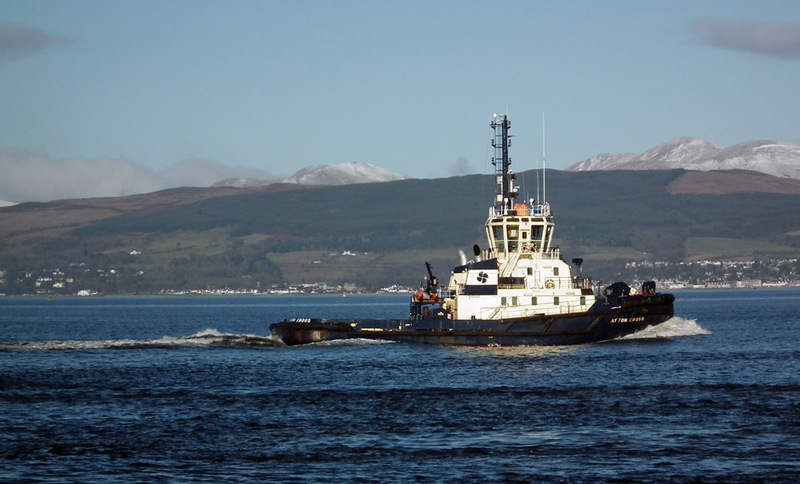 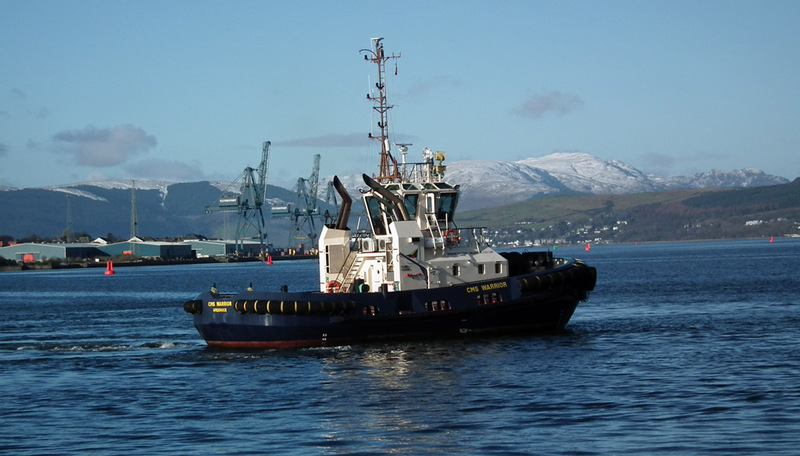 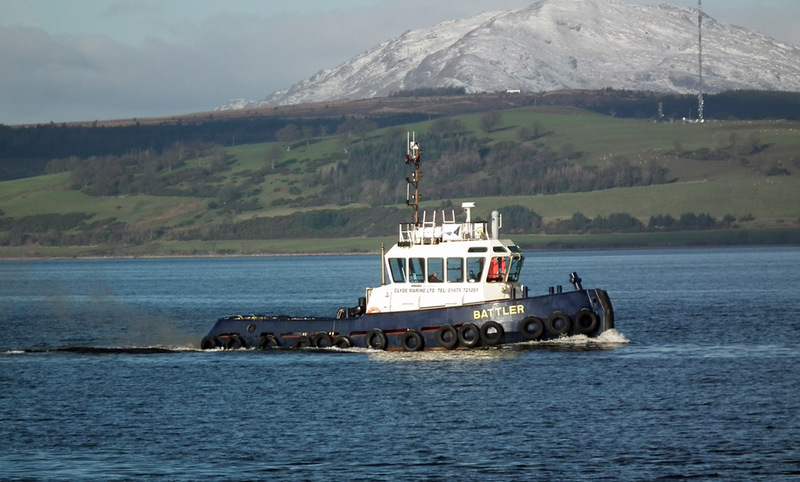 Clyde Marine's tug Battler en route from Victoria Dock to the Garvel 02 February 2018. 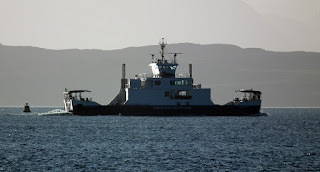 Clyde Marine's tug CMS Warrior 'floats about' waiting for Isle of Lewis 02 February 2018. 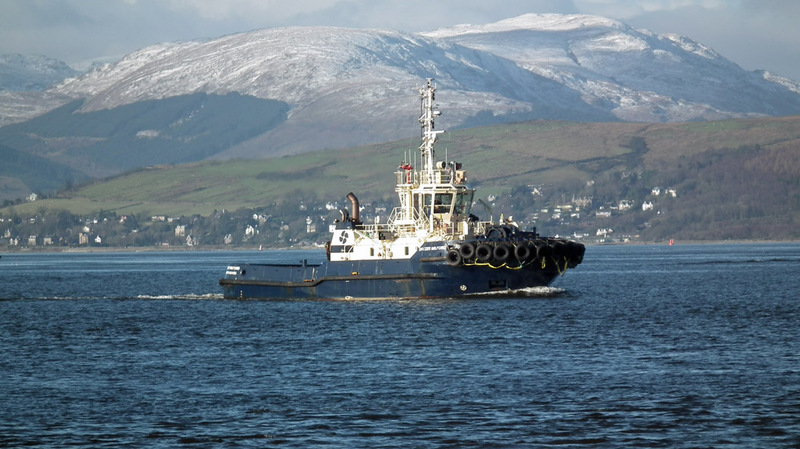 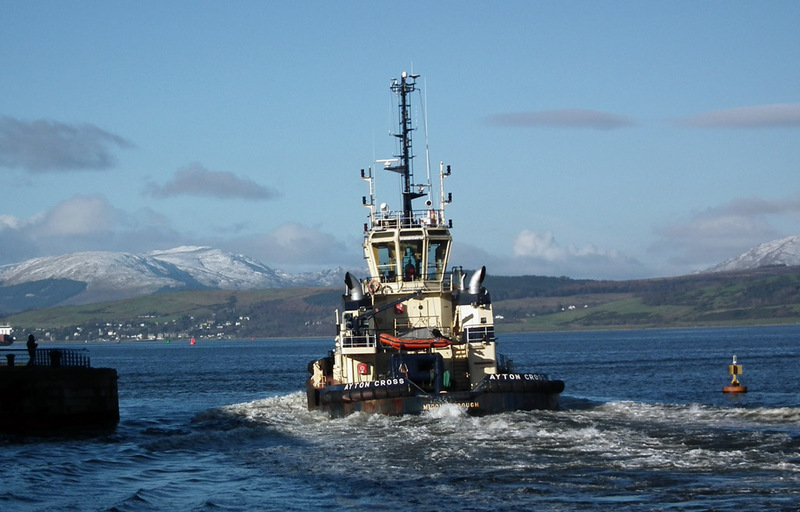 Loch Portain out on trials from Largs 02 February 2018. 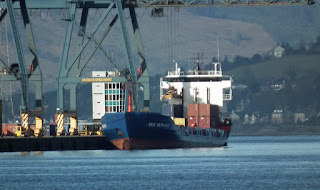 Ayton Cross leaves JWD 02 February 2018. 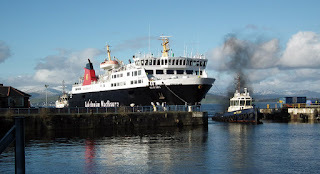 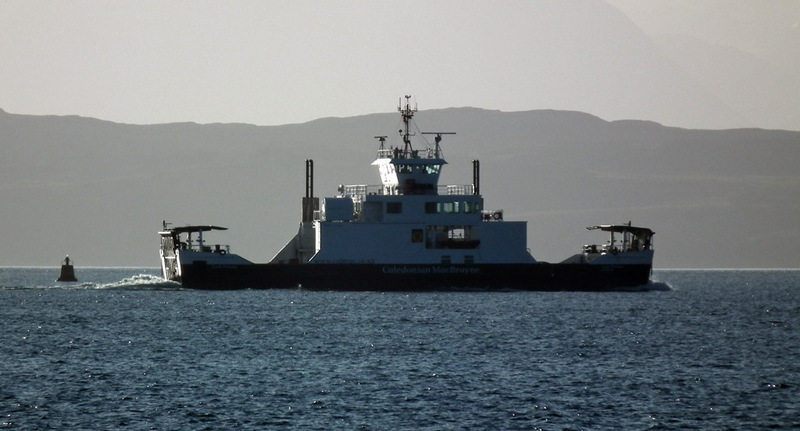 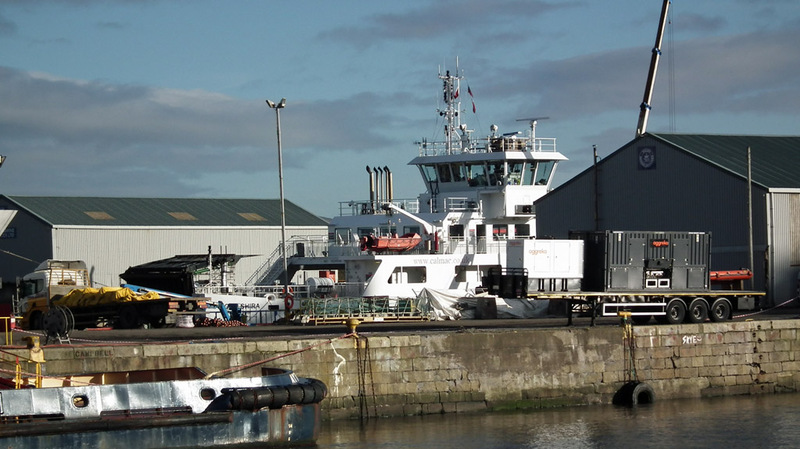 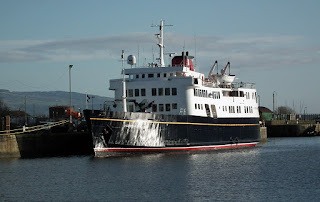 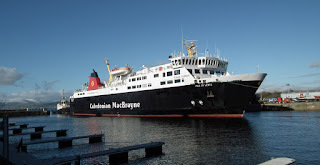 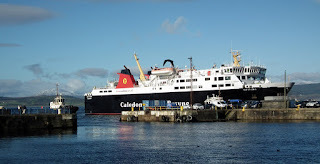 Hebridean Princess in her (now) customary winter lay up at JWD 02 February 2018.